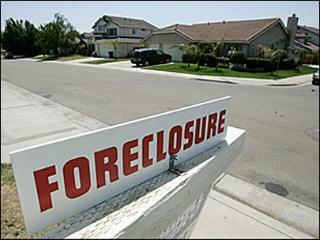 LOS ANGELES (AP) – A record number of U.S. homes were lost to foreclosure in the first three months of this year, a sign banks are starting to wade through the backlog of troubled home loans at a faster pace, according to a new report. But another 158,000 homeowners who signed up have dropped out – either because they didn’t make payments or failed to return the necessary documents. That’s up from about 90,000 just a month earlier. California accounted for the biggest slice overall of homes facing foreclosure – roughly 23 percent of the nation’s total. One in every 62 properties received a foreclosure filing in the first quarter.